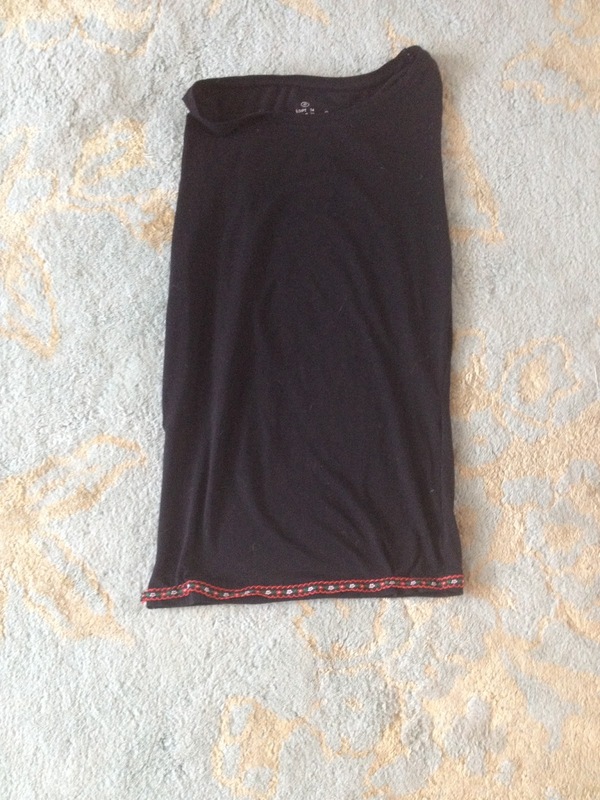 LittleEllieMae: D.I.Y.- Bodycon Skirt from Long Sleeve T-shirt! Pinterest is my haven. I go on it every day; Its just girly loveliness full of creative ideas. My Crafts & D.I.Y. board is one of my most pinned boards and I have so many craft ideas to do over the summer. After reading this article about how to make a skirt from an old long sleeve t-shirt (by just tying the long sleeves in a bow) I decided that my bow tying skills were just not up to scratch for that D.I.Y, unless I was going for the 'screwed up ball hanging from the hip' look. So I put my thinking cap on and came up with this easy sewing D.I.Y. 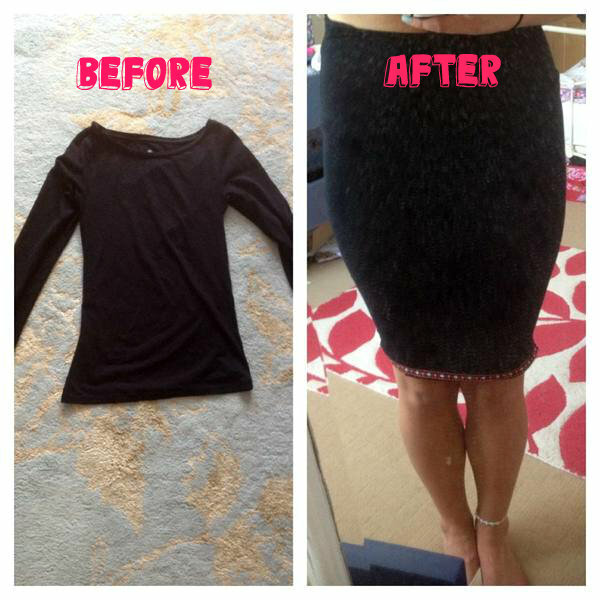 to transform an old long sleeve t-shirt into a cute body-con skirt with detail. 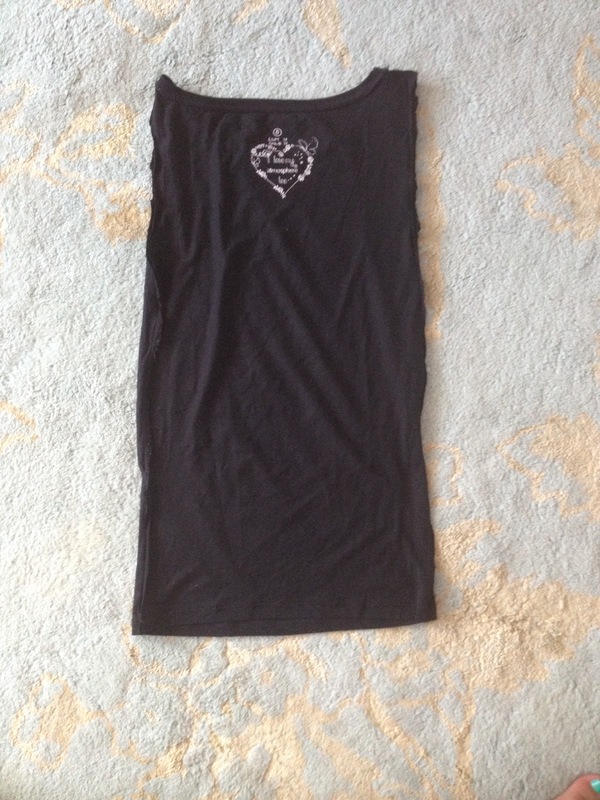 I used this old black long sleeve t-shirt from Primark (one I nabbed before my sister threw it out- thanks Flora!). Its a size 6 whereas I'm usually a size 10/12, but because its made out of such stretchy material it would fit different sizes! Turn the t-shirt inside out. 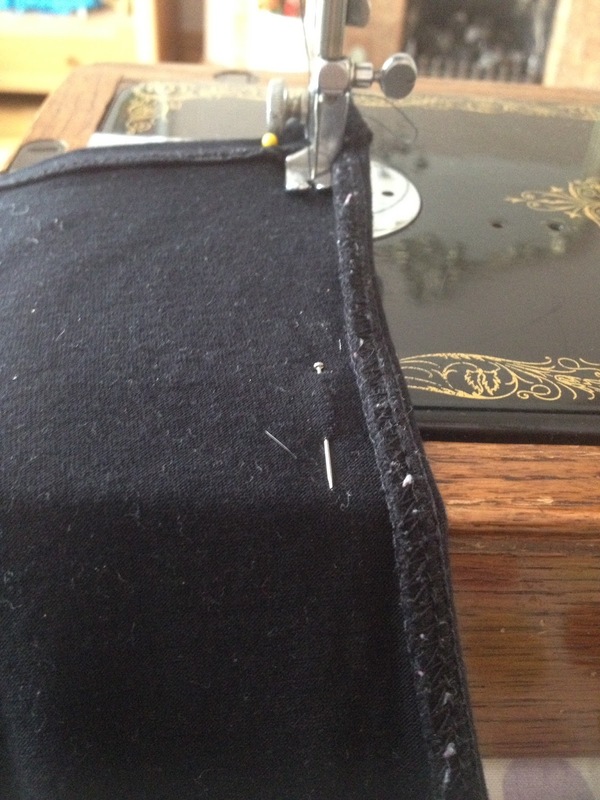 Firstly, use a straight object (I used a tape measure) to line up where you're going to pin. 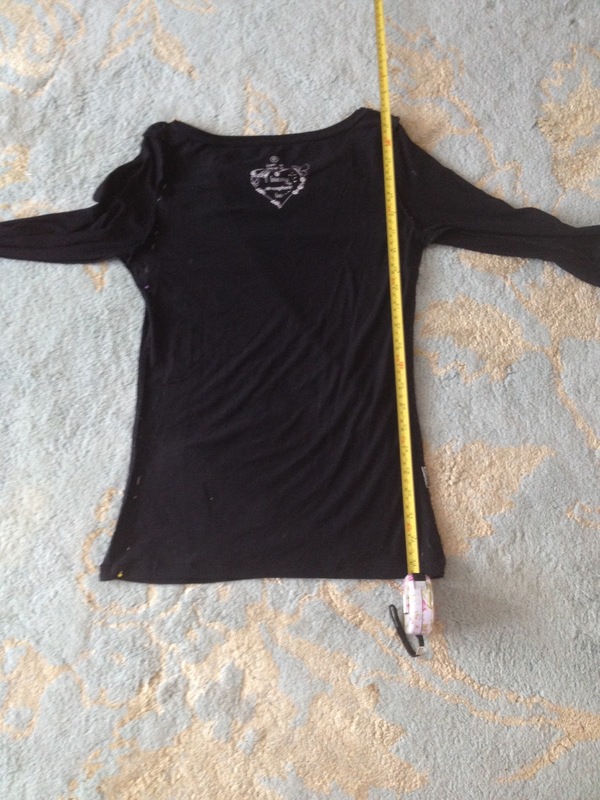 You will want to line it up straight so that it cuts off the sleeves and any excess material (which there usually is as its used to hug your figure). 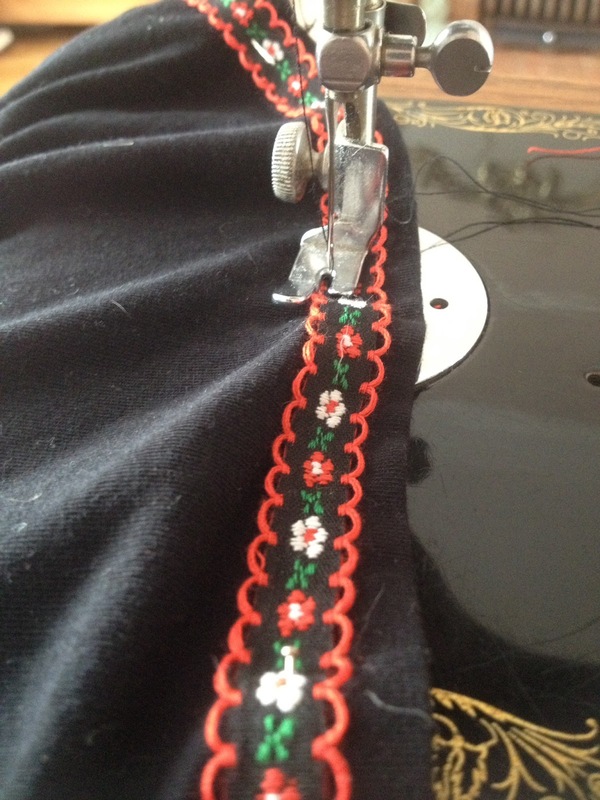 Then pin all the way up the straight line. I placed my pins quite spaced out but if you feel more comfortable with more pins closer together to guide you, do it that way! 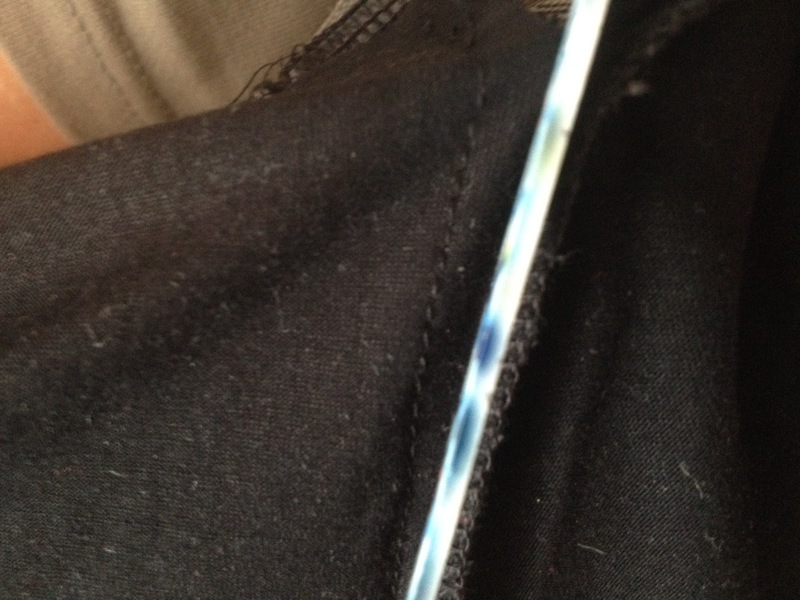 Then sew along the straight line, guided by the pins, using a straight stitch using a thread similar colour to the fabric that your top is. This is our sewing machine. 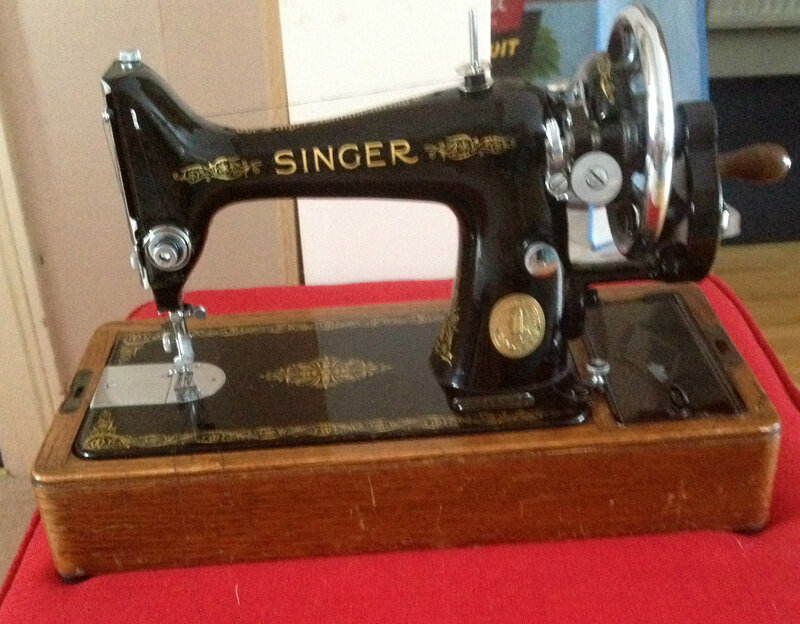 An original Singer- it only does straight stitch but its such a reliable machine and I find it so relaxing to sew with it by rotating the wheel. Once you have sewn both straight sides, use a pair of scissors to cut closely to the stitching, leave a few mm or more if you plan to neaten it somehow (overlock, binding etc.) 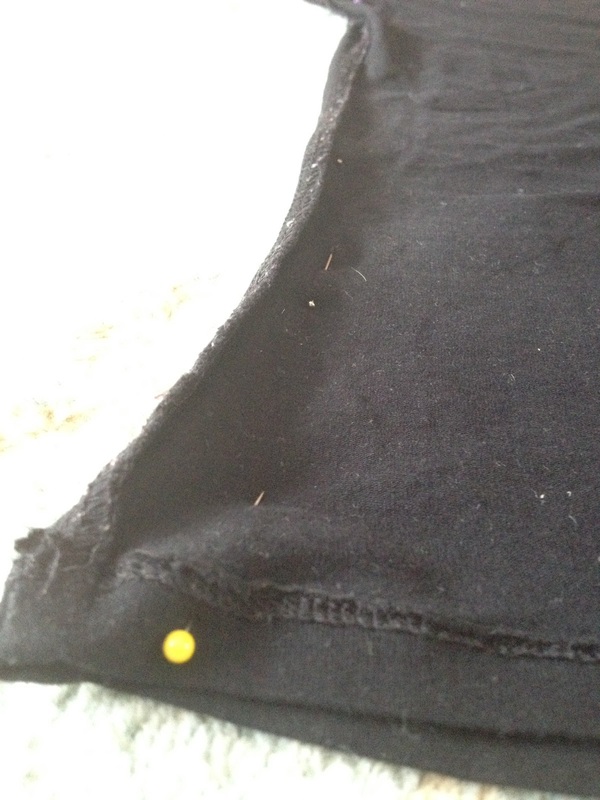 However this will be the inside of the skirt so it won't be visible anyway, so I didn't neaten the seams. This is how it should look at this point! Now, you could just turn it right way out and wear it as a plain skirt or you can add some decoration as I did! 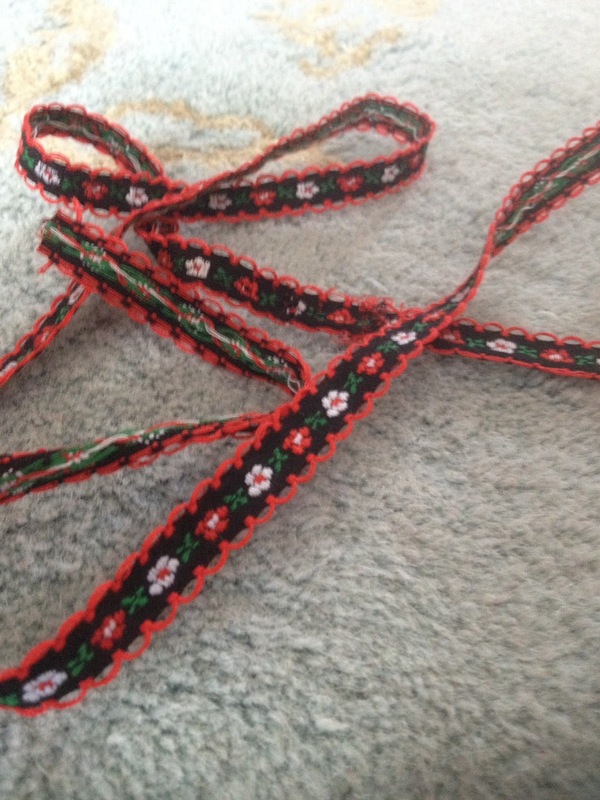 I bought this amazing embroidered ribbon from my local haberdashery. I actually didn't think this step through very well, as this ribbon isn't stretchy yet I sewed it to the bottom of the skirt, so its kind of difficult to walk in. So my advice to you is to buy a stretchy ribbon if you want to embellish the bottom of the skirt or just stick to decorating the sides of the skirt! So that's it! A super easy sewing D.I.Y. project which takes only half an hour! Its a great way to recycle your old unwanted t-shirts. If you try this D.I.Y, make sure you send me a photo on Twitter @LittleEllieMae as I'd love to see what you made! This is so creative. I don't know if I'm that skilled with s sewing machine though!